Links to each piece are below – Be sure to scroll down to see them all. Here are some more close up pictures of the outfits. 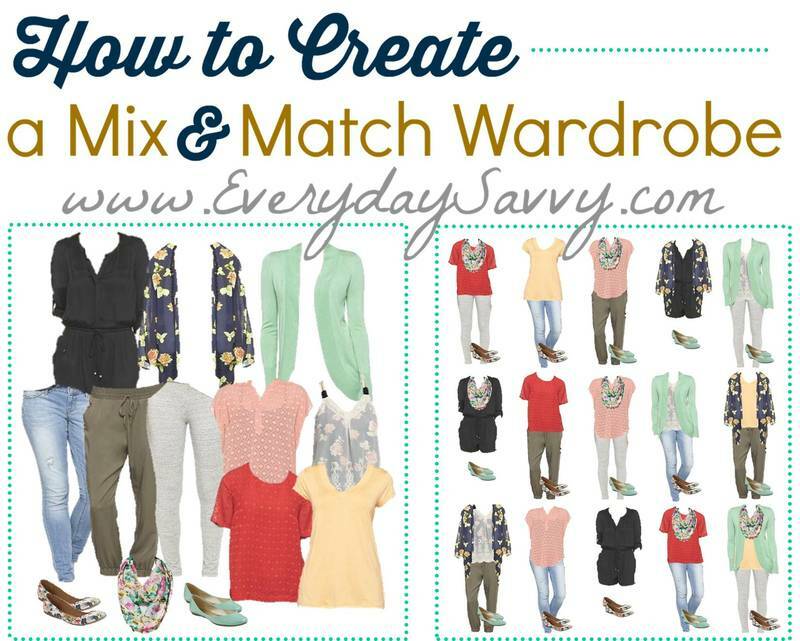 Want more mix and match clothes ideas? Be sure to check out our other fashion posts including capsule wardrobes for all seasons and from a variety of stores. The outfits below are from last year so most pieces are no longer available. However, they are still great for inspiration. Check what you might already have in your closet that is similar. The outfits below are from a previous year so most pieces are no longer available. However, they are still great for inspiration. Check what you might already have in your closet that is similar. You also should check out this article that gives easy examples on how to transition outfits from winter to spring. Want more mix and match fashion ideas? Be sure to check out our other fashion posts including capsule wardrobes for all seasons and from a variety of stores. You also should check out this article that gives easy examples of how to transition outfits from winter to spring. Received this whole set today (well the black pants are on back order)! I didn’t notice that the rockstar skinny jeans have a deliberate hole in them but I like the way they fit so I will keep them. I am not sure if I should have gone with medium or not- next time I might have to double order just to see what fits better. But I love the dress it just needs a belt for a more flattering look and I LOVE flare jeans but I have to hem them (that is to be expected because I am only 4’11). Now I am experimenting with different scarf ties as this scarf is fairly long so that is fun! The cardigans and the boots are the best because I can wear them with other things. I love these transitional Wonter/Spring wardrobe. Would love to see one from Ann Taylor Loft or Kohls! Thanks – we will try to work on some in the next few weeks. Love this!!! Would love to see one from Torrid!